It’s that time of year again where we’re all reminded to pay homage to moms. There’s even a whole day set aside in one week to recognize how fantastic and wonderful and perfect and amazing moms are and how lucky we are to have them in our lives. While it’s true that none of us would be here if not for our mothers, I find the whole idea of “Mother’s Day” to be quite ridiculous and contrived. Sure, the idea of stopping and showing appreciation for the countless hours and unconditional love is nice. Maybe it’s even something moms look forward to. 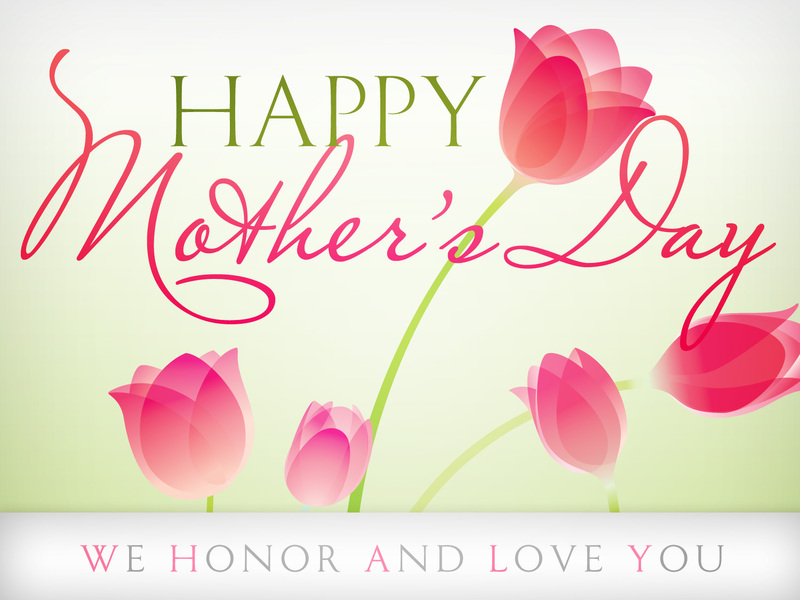 I know for sure that Hallmark and Kay Jewelers are among the many businesses that pressure us to show our moms (or wives) how much they are appreciated by showering them with cards and expensive gifts and maybe even a special dinner that mom doesn’t have to prepare. But, why? Why only one day in May? I’m not suggesting that we have “Mother’s Day” multiple times each year. What I’m suggesting is that we show our appreciation and love more than one time each year. How about instead of buying into the commercial aspect of the day we show true appreciation? Write her a letter. (Email doesn’t count.) Take mom for a walk in a park to look at the flowers while you engage in conversation. Make a photo collage or book and give it to her. Don’t buy her flowers or jewelry now (stores jack the prices now for suckers like us). Wait until some other random time (or times) and surprise her with flowers and a note of thanks. Do make her a nice dinner at home. Don’t overpay at some crowded restaurant. Take her out for dinner some other time. If you must eat out, maybe get it to go and make it a picnic at a park. You don’t have to spend a lot of money on your mom but you do need to spend your time with her. Celebrate her and help her to know how much you appreciate her. But don’t just do it next Sunday and then wait a whole year to do it again. I assure you that it won’t get old if you do it over and over and over…as long as you mean it. Thank you, moms, for all you do. You are loved and appreciated by this guy. To be clear, I’m not suggesting that anyone actually boycott celebrating Mother’s Day. Like most holidays (Father’s Day, Valentine’s Day, Thanksgiving, Christmas, Easter, etc.) it is the over-the-top commercialization in our culture that I’m railing against. Mothers deserve our highest honor and respect all year long and they don’t need a necklace to prove it…just like I don’t need a tie or some other kitchy thing to prove my worth on Father’s Day. Moms-What do YOU think? Did I get it right or am I way off base? Please let me know. I genuinely am interested in your comments. Well said! It’s fun to have a special day set aside, but you can make that day special without buying into (literally *buying* into!) the materialism so typical of American holiday celebrations. Make a nice meal, go for a walk in the woods or a hike in the hills, do something special with Mom that you know she loves. Or do a chore for her that she hates or has been wanting done for a long time (this mama would dance for joy if someone weeded the garden or built a raised bed). Doesn’t have to cost much other than your time. So true. It’s all about the investment of time, not money, that truly celebrates moms (and dads next month). You are absolutely right! Although for me, I would argue that I don’t want a single thing but for my kids to get along and not argue with us. So much peace and happiness would ensue! Thanks for the corroboration. Kids that get along and don’t argue with us? That would be amazing. Thanks. Glad to hear that I wasn’t off base with my thoughts. What are your wine and chocolate favorites? I appreciate this post, Carl. I am fortunate to have a wife that thinks like you. She doesn’t stand or fall for high priced, tepid, tokens or hollow, Hallmark sentiment. We try our best to express our love in creative and considerate ways daily. And I’m pretty sure my entire being betrays my undying gratitude for the fact that she is the mother of my children. I wear it on my sleeve, and it informs my conduct every day of the year. Sweet! Great thoughts. Glad she is like-minded.